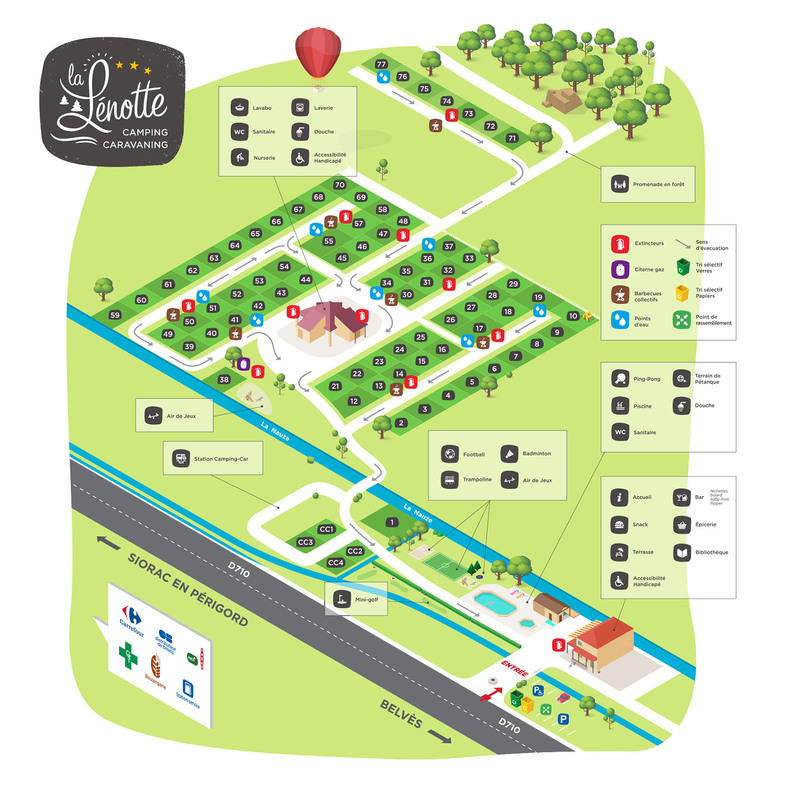 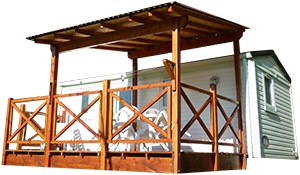 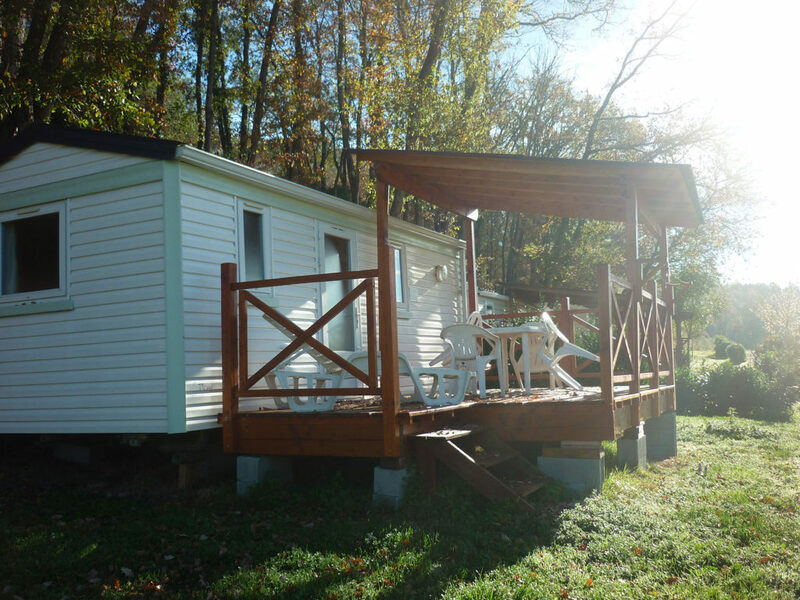 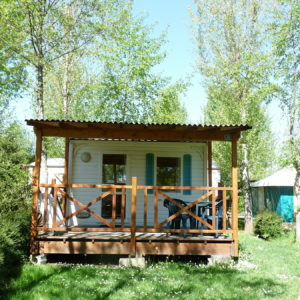 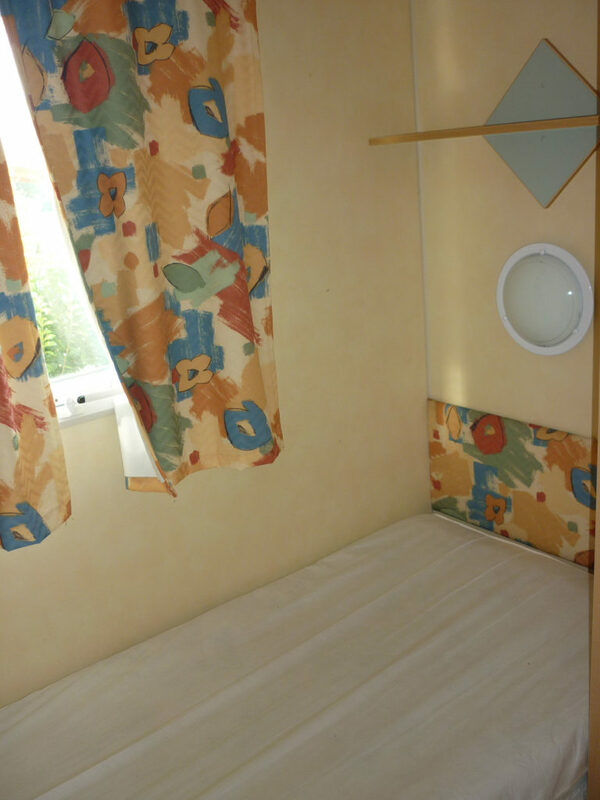 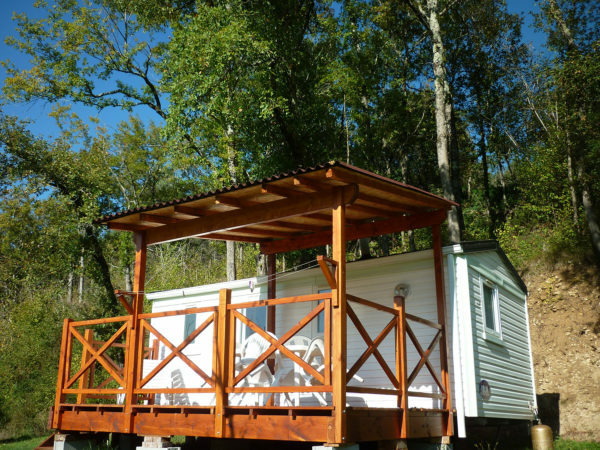 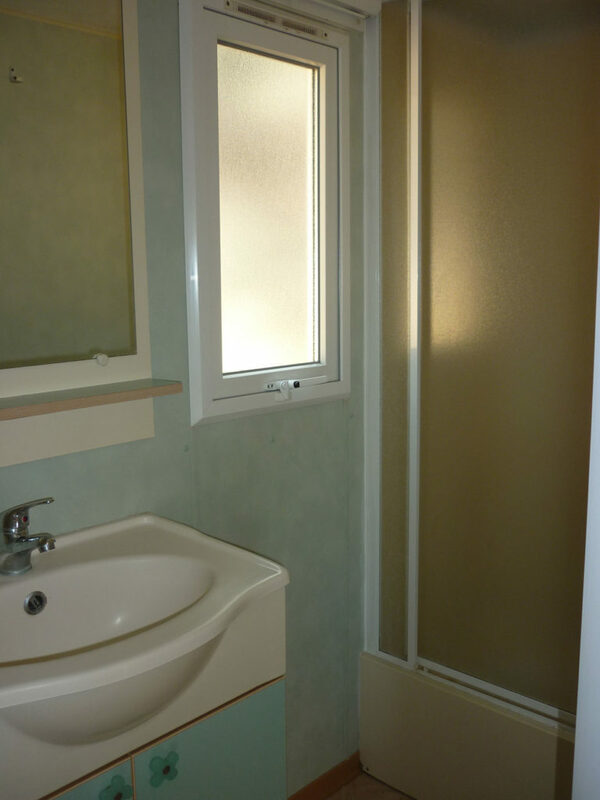 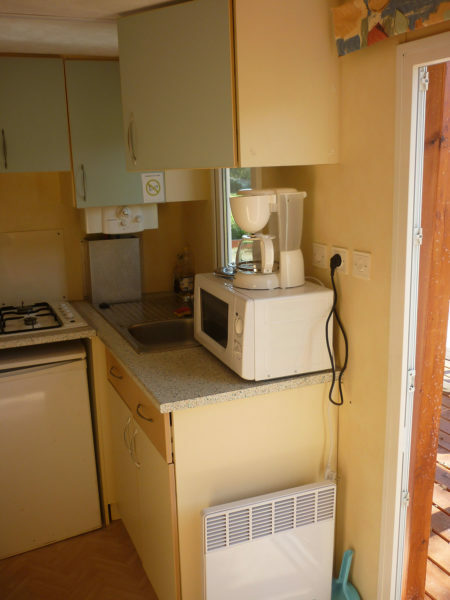 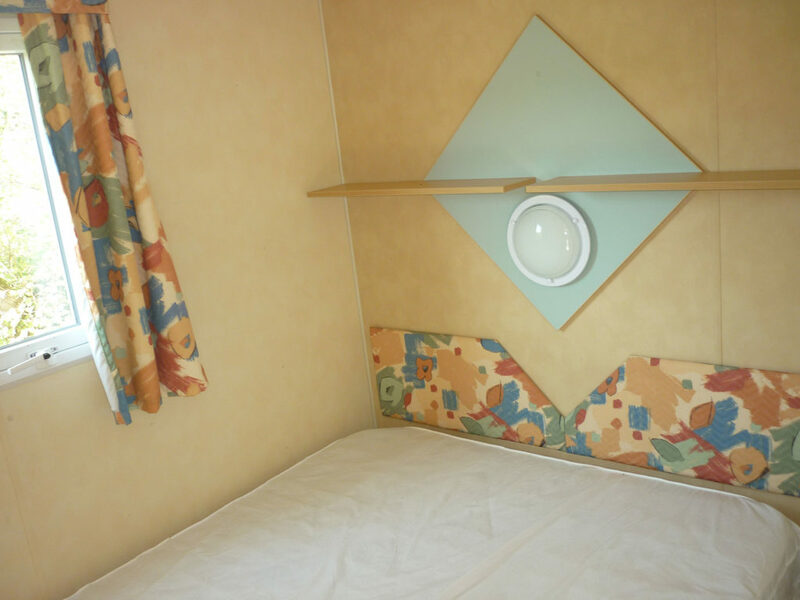 Camping La Lenotte / Accomodations / Mobilhomes / Mobile home 3 pers. 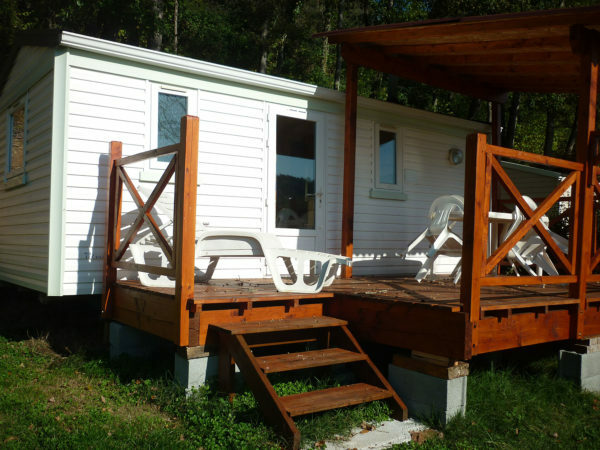 A mi-chemin entre le mobil-home 2 personnes et le classique 4 personnes, le mobil-home 3 personnes vous propose une deuxième chambre mais avec un seul lit. Often rented for couples with one child, the 3-person mobile home is also sometimes chosen for young people without children (or young retirees …) who want a second room to be more comfortable. 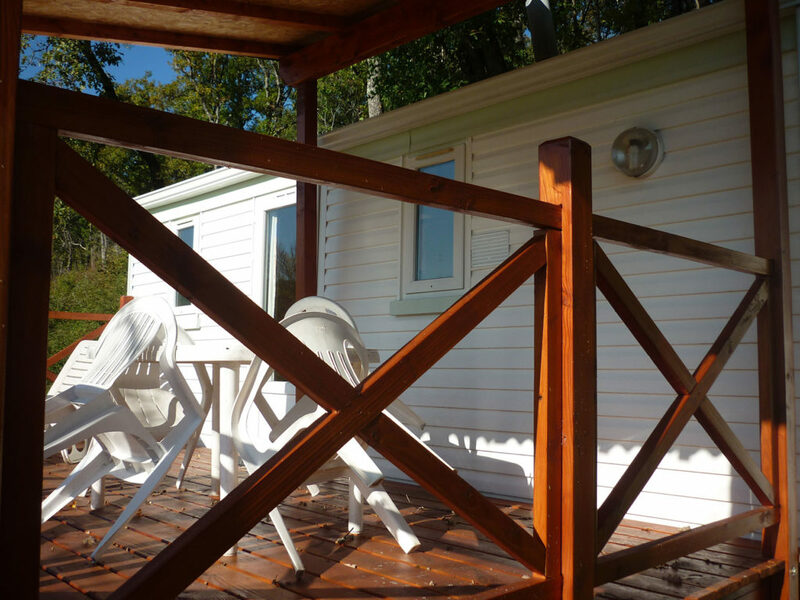 If you do not sleep, this second room can indeed allow you to put luggage or other business, for a small difference in price with the mobile home 2 people. As you can see in the photos, the space is optimized (the mobile home is 18 m²). 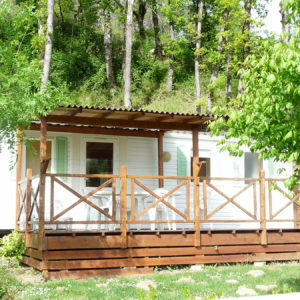 Perfect with the terrace and the garden.